While I'm a knitter and a spinner, I don't consider myself generally 'crafty'. However, I have been wanting to learn some basic stitching, mostly because I'd also like to get into weaving a little bit (have to use up all that handspun somehow, right?). 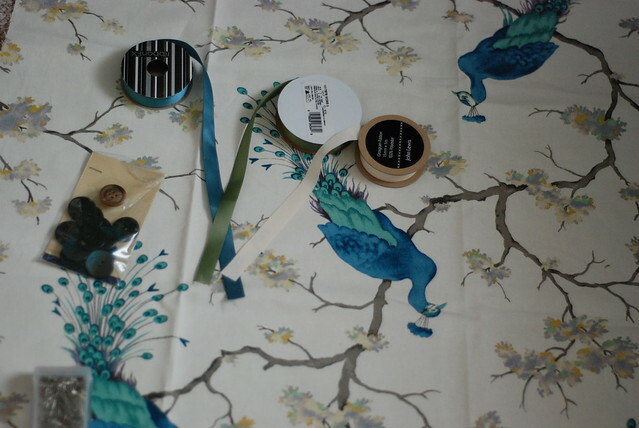 When I heard about Hillary's Country Crafts Competition, I couldn't resist the lovely fabric with a large peacock print to try and make something special out of it. I got an idea to make a coordinated set of bags I could use for my favorite crafts. I really wanted to take advantage of the large peacock motifs, so I planned out carefully where I would cut my pieces out. The first thing that occurred to me to make was a sleeve for my spindle tube -- I have this thick cardboard tube, originally meant to protect wine bottles, which is big enough to hold any of my spindles and plenty of fiber to boot. Any time I travel with my spindle, I take it with me in this sturdy case. It's incredibly practical, but pretty? Not so much. A cover for the tube would be simple enough to construct, and make my spindle tube truly unique. As an added special touch, I took a little bit of silk combed top, grabbed my spindle, and spun up some thread thin and smooth, worsted-style. 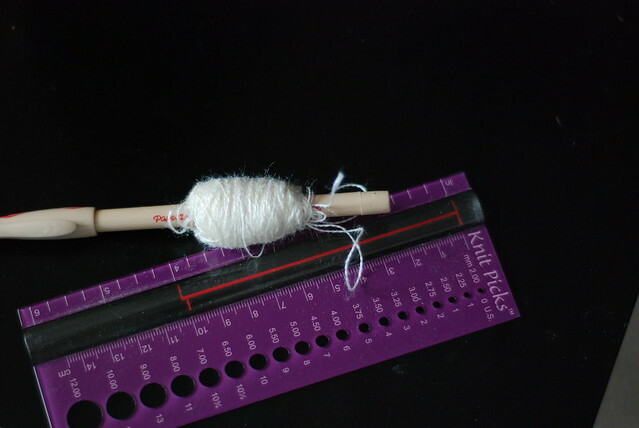 Silk is one of my favorite fibers to spin, but in knitting its uses are limited to drapey objects such as shawls. As thread, it's smooth and shiny and lovely to work with. 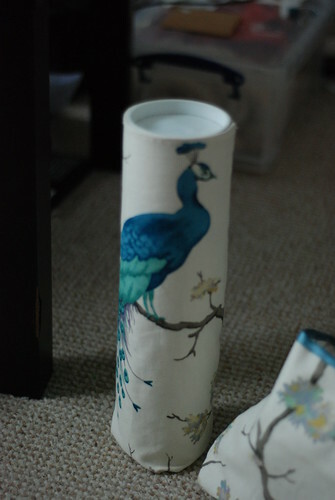 ...cut out a section with a nice peacock motif on it, and sewed up my tube inside-out. 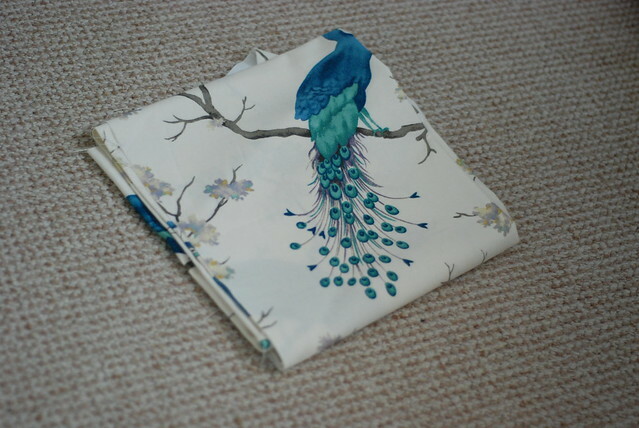 I folded down the top lip of the fabric, sewing it down with my decorative silk thread. After that, all that was left to do was close up the bottom, which I did a bit... 'creatively', I think! But it's secure and effective, so that's what matters right? 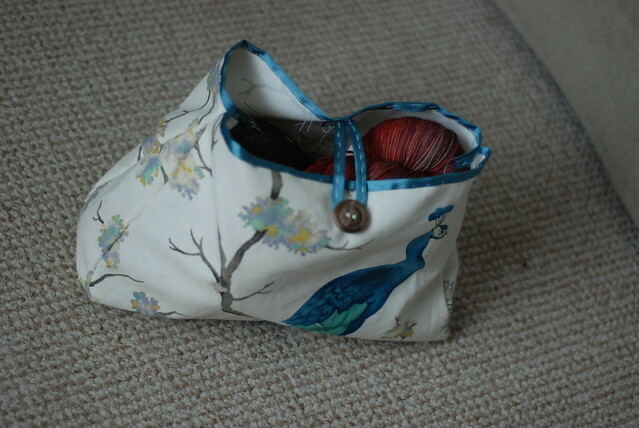 I'm really pleased with this bag: it is big enough to hold any small/medium-sized project, like a hat, pair of socks, or shawl - or three or four 100g skeins of yarn. The fabric is reasonably heavy, and the bag isn't going to get the rough wear that a handbag would for instance, so I didn't worry about a lining. The construction is dead simple: one long rectangle making the front, bottom, and back, and two side pieces. 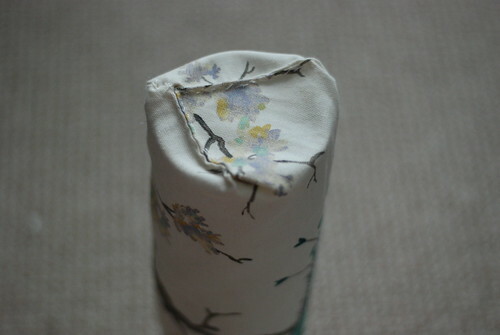 The sides are triangular, so the bottom is wider than the top, meaning it stands up pretty well on its own, and closes with a button and some matching ribbon. 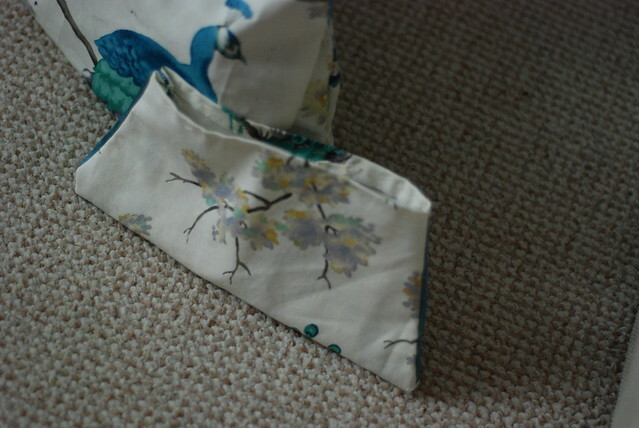 Finally, I also fashioned a matching notions pouch to go with the bag. I included a bit of the same ribbon in the side seams, like piping, and I think it's a really cute effect. 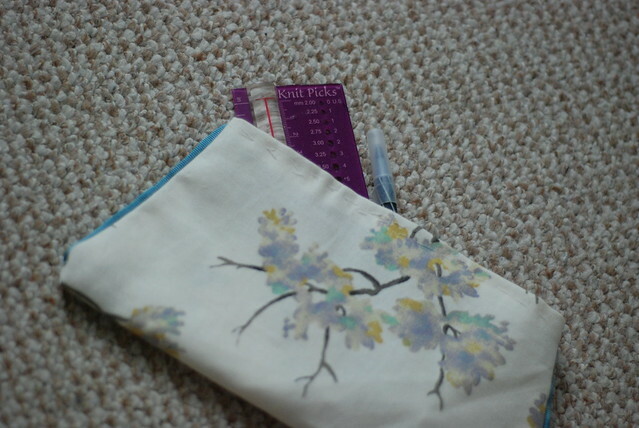 This bag's the ideal size for little bits and pieces - a needle gauge, a pen, some pattern notes, and scissors for instance. 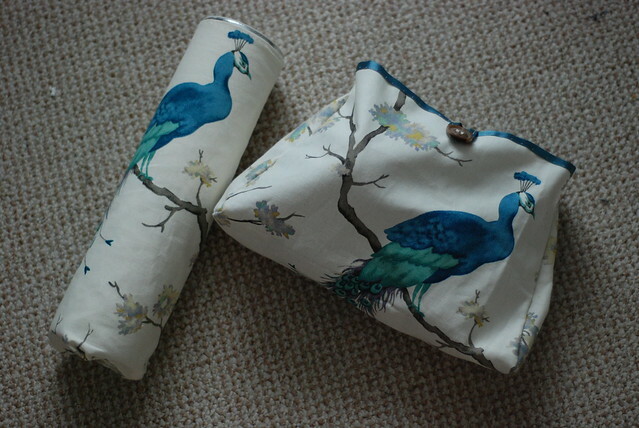 I can see myself getting a lot of use out of these bags I've fashioned - and I get a little thrill out of the fact I made them myself. I definitely have a lot to learn about sewing still - but I've had fun diving in so far! Thanks to Hillarys for letting me play around with the pretty fabric. 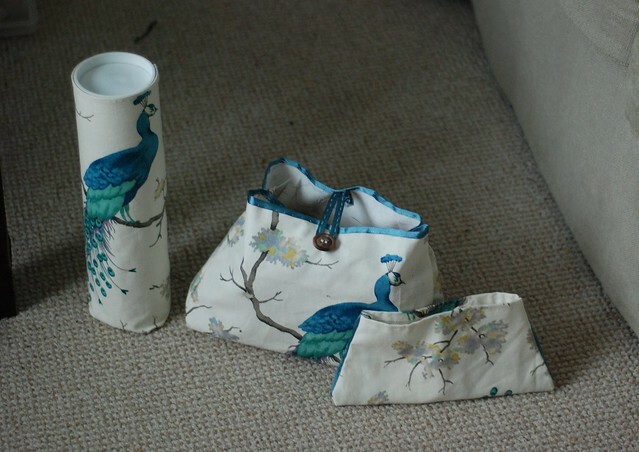 I really like the bag, you have cut the material so that the peacock is positioned nicely and the button loop works really well. Good project. Please visit my site. Ahhhhh the cutest! How do you come up with these adorable ideas?!? !